Note 1: SMDR via the Ethernet port will be available from ETERNITY version V8R10 onwards. 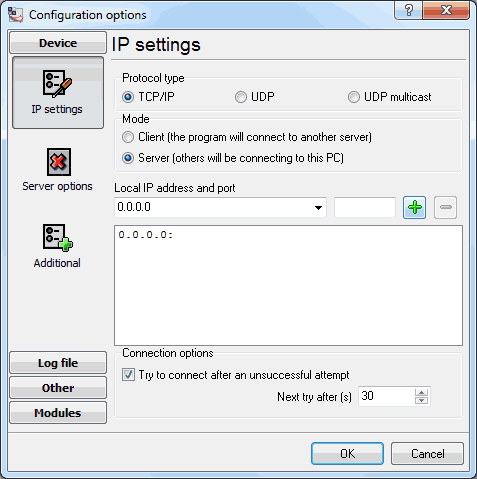 Note 2: You need to assign a static IP address to the computer with Advanced PBX Data Logger (for example, 192.168.0.102). 1. Open web browser in PC. 2. 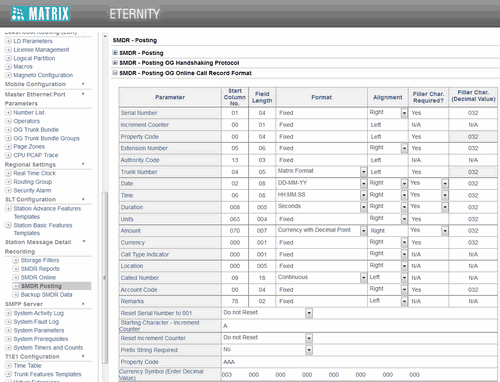 Enter IP address of ETERNITY [for example, 192.168.0.7 ] in the address bar of your browser and press the "Enter" key. 4. Log in as "System Engineer"
5. 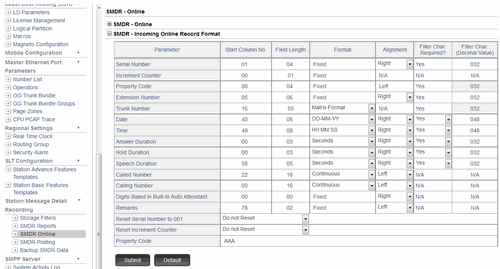 Click on "SMDR Online" as shown below. 6. 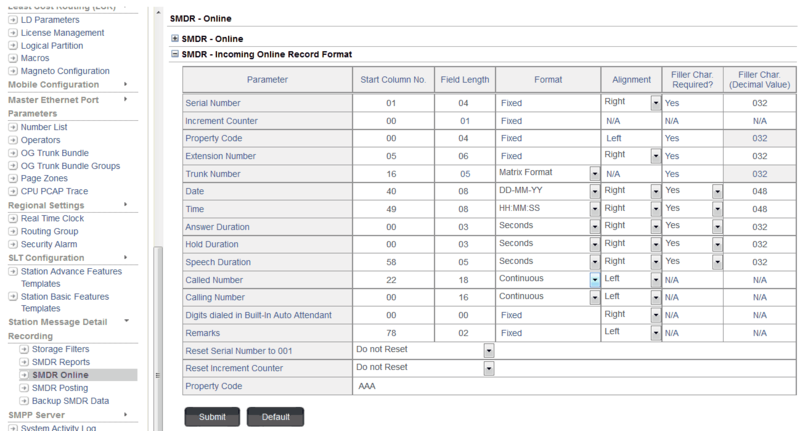 Change the SMDR record format as shown below. 7. Log out from the "System Engineer" mode. 8. Log in to the "System Administrator" mode. 9. Click on "SMDR Management". 10. 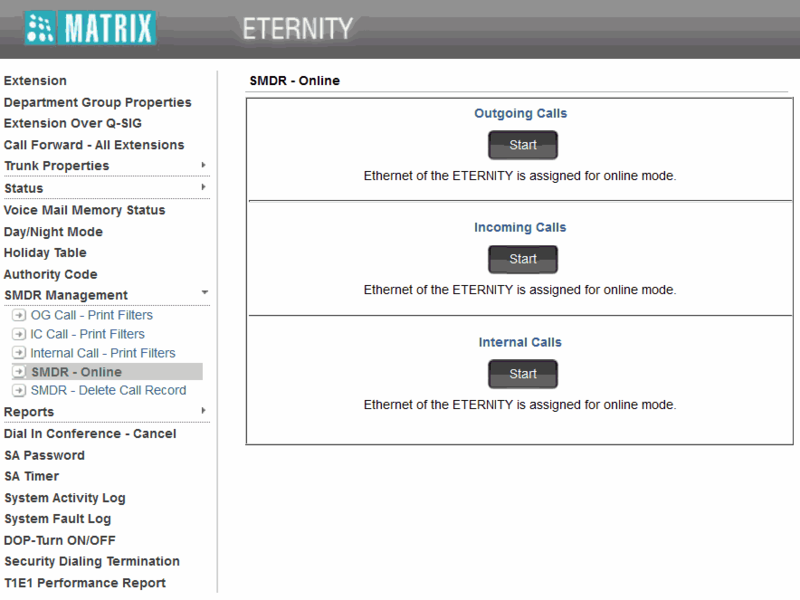 Click on "SMDR Online" as shown below. 11. 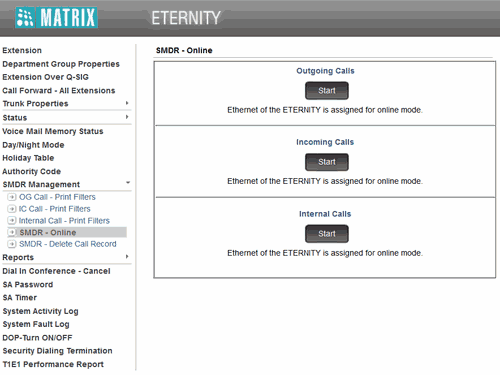 Click on the "Start" button to activate SMDR for necessary calls types. 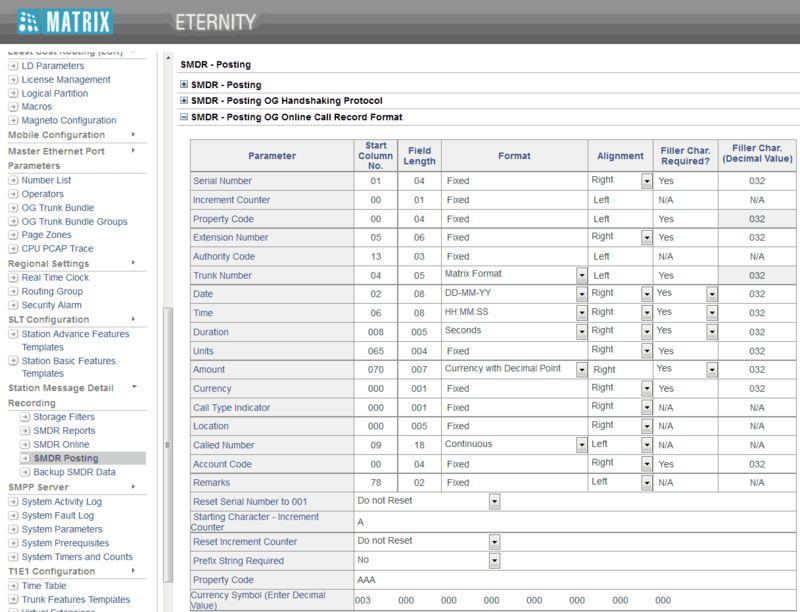 Advanced PBX Data Logger should be configured to the TCP server mode and listen on 0.0.0.0:514 (see below). 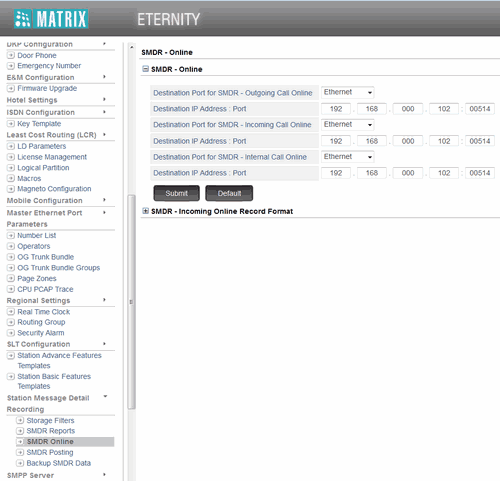 The port number should match the value from the SMDR settings in Matrix Eternity.